WHAT CAN A TEACHER DO IN ORDER TO IMPROVE TEACHING AND LEARNING IN LARGE CLASS SETTINGS? The most common successful strategies in teaching large classes, as stated in the final TEDI report, were: "the use of small group or pair discussions/activities/exercises in class; introduction of web-based course materials (such as course web-site, other online resources, discussion boards etc); and the use of mixed media in lectures (including music, videos, comic strips, powerpoint, overheads)" (TEDI, 2003). Particular support should be provided for students who do not understand the material. ​We tried to approach the teaching large classes challenge from different perspectives, mainly from pedagogial and technological. 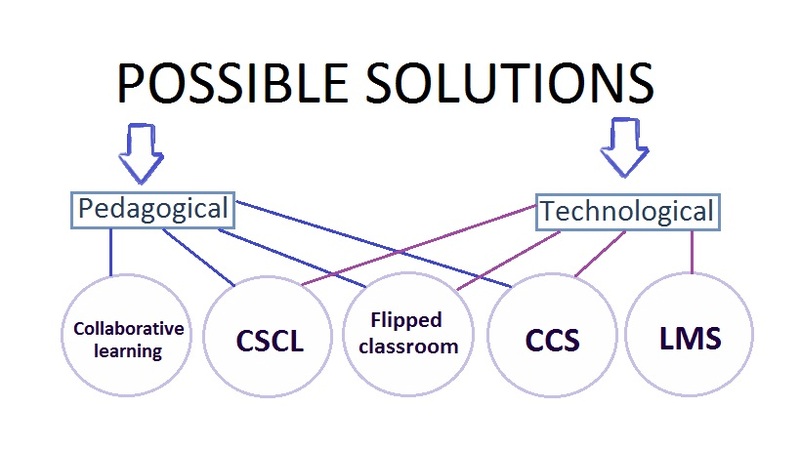 It turned out that the most part of the solutions we suggest include both the pedagogical and technological aspects. These solutions can be combined, adjusted and used along with other methods by the teacher depending on what he/ she considers to be the optimal option for this particular class.